Specially developed by LIQUI MOLY for aircraft with carburetor and injection systems and for ultralight 4-stroke engines. The rapid and constant changes in air pressure in flight operations have an effect on the fuel-air mixture as well, very often on the “rich” side. The fuel-air mixture necessarily burns less effectively, producing detrimental deposits in the intake and combustion chamber as well as on the spark plugs. 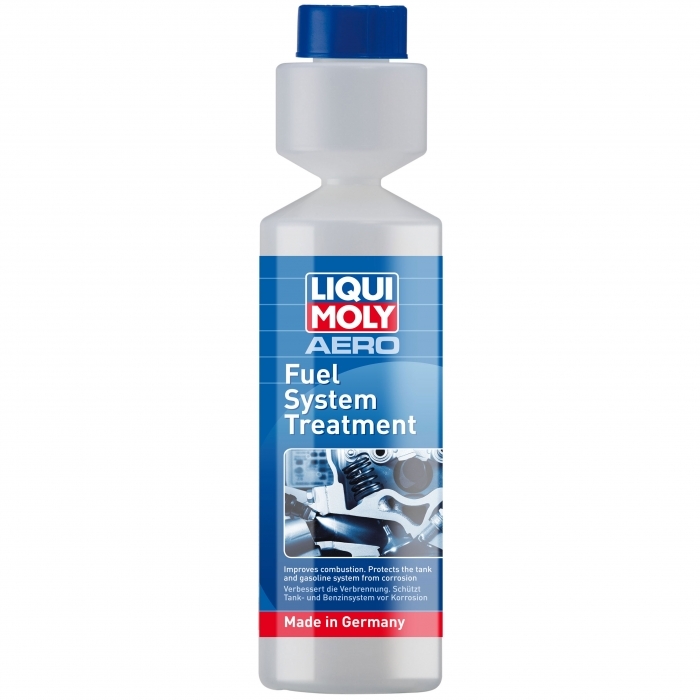 The addition of LIQUI MOLY AERO Fuel System Treatment every time you refuel prevents fuel waste and loss of power.